The whole day will have a focus on what makes a studio successful, and will include going through the following critical points. Sorting out Websites, Social Media, Business Principals, creating a Price List, Photographing for Sales, Creating more Business, The Retail No Pressure Portrait Selling System and more….going to be a full day. 4. Building Your Price List To Maximise Sales. 5. Test and Measure Strategies To Keep You On Track. 6. Facebook Marketing for a constant flow of Customers. After having a successful wedding/portrait studio for over 40 years, Bernie transitioned into being a Photography Business Coach. He is now the “go to” coach for those studios looking at taking their business to the next level. Bernie’s presentation will be on the 5 most important things that a photographer should focus on to build a successful business. Murielle Sassine, owner and operator of Vivid Imaging and Blackbox Portraits, developed a passion for photography at a young age. She pursued her interests in photography and obtained a degree in Visual Communication, establishing herself as a photo media specialist. Murielle has run her successful photography business from home for over 14 years, and has achieved great success with her sales in the areas of portrait and glamour photography. She will talk about some of the many challenges facing photographers who work from home and she will share with you how to overcome them. Johannah is the owner of a branding and website design company called Confetti Design. She specialises in helping small businesses sell to predominantly female target markets. With over 20 years experience, she has worked with many photographers to enhance and project their brand, and create unique websites, that have delivered great results. Is your website up to date and giving you the best chance of competing in such a competitive market place? 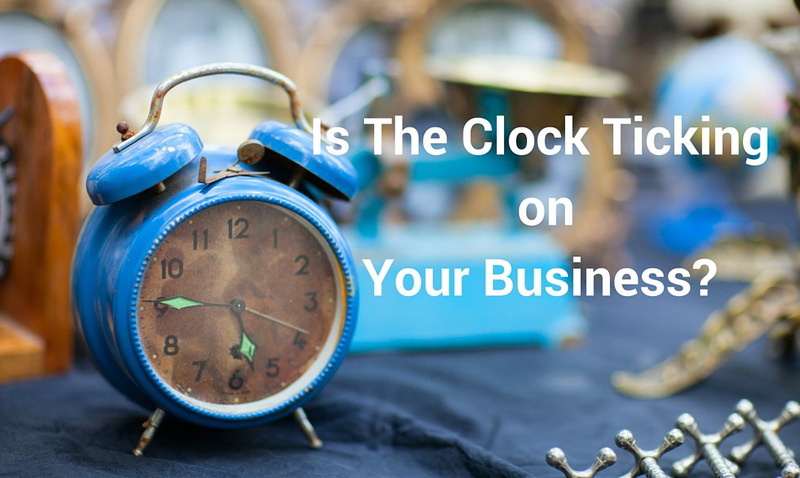 Is The Clock Ticking On Your Business? I came across this email that I had received from one of my clients a few months back. I had just started coaching her, and the email I think pretty well describes the bad financial position and negative headspace that she was in. The client was gutted because they loved the photographs but could not afford them, and the photographer was gutted for the same reason. Not a good state of affairs. If you didn’t go into business to make money then you’re lying or you simply have an expensive hobby, not a business. Are you going to be happy if you’re broke? You also may have gone through lying awake at night worrying about clients who did not spend, or how to get new clients in the door. Struggling with spending time and money on marketing that ends up as a total waste, can be soul destroying! You may also have tried free mentors, or mastermind groups, or been on many forums, but none of these improved your bank account. Getting bad advice is always ineffective. Yes we all look for a magic wand. Instant weight loss, instant fitness, instant wealth, instant successful and instant highly profitable business. Ah, but it is just a dream! Creating a machine to bring new clients into your business every week of the year, including when you are on holiday, without having to cold-call, or to think up new marketing ideas, is every business owners dream. When you visit competitors’ websites don’t assume that they are having major success with what they are doing! I have been around the industry long enough to know that a flashy-looking website does not mean new clients are constantly banging down the doors. How do you crack the code to get an oversupply of customers? In my forty plus years of having a successful photography studio, and now in my five years of coaching photographers, I have learned that you have to have a business that has these 5 components. 2. A Marketing Need for customers to come to you. 3. A Conversion System to convert leads into customers. 4. A Price List constructed to maximise sales. 5. A Test and Measure process to keep you on the right track. I am going through these 5 critical points in “A Day For Photographers,” to be held in Melbourne on the 25 October. What Does A Skype Session Look Like? Many photographers have asked exactly how my coaching works. I did a Facebook “live” with one of my clients last week. John went from 4 photography sessions a week to nearly 30 sessions a week. He tells some great stories of doing portrait sales in a brewery and in clients homes while being fed with tea and cake. Posted in MARKETING, photography, photography business, photography business coach, photography coach, photography marketing, portraits | Comments Off on Is The Clock Ticking On Your Business? It appears that in today’s busy society, we are led to believe that the more appointments that we can cram into our day and ultimately our week, and the more time we spend working, the more money we will make. In my many years of business, I have experienced the opposite to be true. By consolidating certain tasks on certain days, like photographing only on Wednesdays to Saturday mornings, and doing sales sessions at the same times but alternate weeks, you could just work four and a half days a week. Afternoons could be spent doing post production and compiling orders ready for collection. You could have Monday off, and Tuesday would be committed to working on your Marketing, Social Media, Blog, and Networking. The key of course is to be disciplined with the structure of your working hours. If you don’t stick to your rules, obviously you will fall back into those old bad habits that will once again steal your valuable time. Most experienced photography business owners know that if your customers are allowed to dictate what hours you work, they will have you working 24 hours a day! Being in control of your own business, I believe is one the most fulfilling feelings that a business owner can experience. It is fulfilling in that it brings together all of the reasons that we wanted to have our own business in the first place..…loving what we do, more freedom, more time with the family, more money, and pride in our achievements. Business is all about numbers, so let us throw a few numbers around in the case of a portrait studio. With this example you would be working a 36 hour week. If we allocate one day a week, every week, to put some Marketing strategies into place, we should be able to create a minimum of 4 photography sessions a week…yes? Now let us assume that we do face to face ordering sessions, and with our well thought out products, combined with our strategically crafted price list, we have an average sale of $1,000. That equates to $16,000 per month. If this scenario happens for 10 months of the year, taking into account that there are holidays, and other incidentals that could get in the way of our working life, that would be a turnover of $160,000 a year. The numbers say it is possible. Consolidating your time will give you more time to live life. Posted in photography business, photography business coach, photography coach | Comments Off on Are You Working Too Hard?